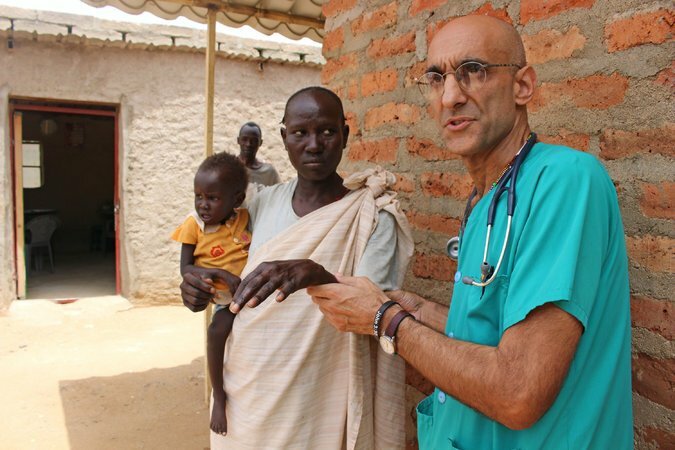 The $1 Million Aurora Prize for Awakening Humanity was awarded to Dr. Tom Catena, a Catholic missionary from Amsterdam, New York, who has saved thousands of lives as the sole doctor permanently based in Sudan’s war-ravaged Nuba Mountains where humanitarian aid is restricted. The Aurora Prize, granted by the Aurora Humanitarian Initiative on behalf of the survivors of the Armenian Genocide and in gratitude to their saviors, was announced at a ceremony in Yerevan, Armenia. He was selected as the 2017 Aurora Prize Laureate from more than 550 nominations submitted from 66 countries.